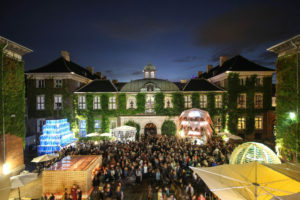 If you get the chance to visit Copenhagen, it’s worth planning your trip to coincide with Denmark’s two main contemporary art fairs, Code and CHART, which take place at the end of August/ early September. And whatever you do, don’t miss the Design Museum Denmark. Chart Art Fair 2017 vernissage. Photo: David Hugo Cabo. 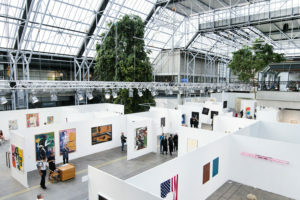 Copenhagen’s two main contemporary art fairs are definitely worth a visit. While CHART Art Fair is not on the main international art fair circuit, it certainly deserves to be. In fact, it’s a great opportunity for collectors with value in mind to discover emerging and overlooked artists. What’s more, the dealers appear to be suffering from less fair fatigue than in other parts of the world, which means more engaging conversations with visitors. 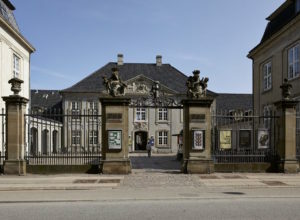 The fair takes over Kunsthal Charlottenborg, the beautiful classical building that is home to the Royal Danish Academy of Fine Arts. Rather than erecting false booth walls, the fair uses the natural rooms and layout to separate the various dealers spaces. For those of you have been to the Independent fair in New York or Brussels, there is a similar look and feel to CHART. CHART Art Fair was established in 2013 by Gallery Susanne Ottesen, Andersen’s, Galleri Bo Bjerggaard, David Risley Gallery and V1 Gallery with the aim of challenging the structure of a traditional art fair. Featuring many of the leading galleries from the Nordic countries, the fair will present its 6th edition in 2018. Stockholm-based Gallery Steinsland Berliner featuring work by Swedish artist Malin Gabriella Nordin at CHART. One of CHART’s standout booths in 2017 was Stockholm-based Gallery Steinsland Berliner which featured paintings and sculptural works by Swedish artist Malin Gabriella Nordin. Malin Gabriella Nordin shown here in her studio. Photo: Märtha Thisner. Exterior of the Bella Center, home of Code Art Fair. Photo: I DO ART Agency. 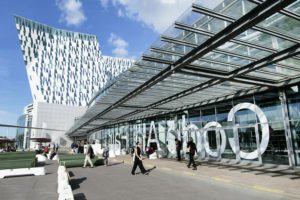 Code Art Fair is located in Copenhagen’s convention hall known as the Bella Center, whose name alone makes it appealing, especially the way Danish people say it. It is situated just outside of the city center on the same train line that goes to the airport. Unlike CHART’s Scandinavian gallery focus, Code takes a more global approach. However, it differentiates itself from other fairs because of all the beautiful natural light that filters in through hundreds of glass panes above. Additionally, the large living trees and bountiful foliage give the fair a more humane feeling than one finds in more typical convention centers. Code Art Fair 2017. Photo: I DO ART Agency. One gallery of many that caught my eye at Code was the booth of dealer Anne Mosseri-Marlio from Basel, Switzerland. 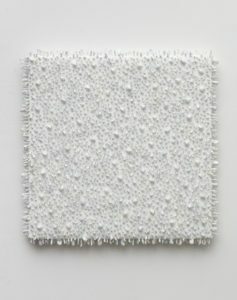 Mosseri-Marlio has a roster of extraordinary artists that focus on conceptual, geometric abstraction & non-objective art. Lars Christensen solo presentation by Anne Mosseri-Marlio Galerie. Photo: I DO ART Agency. 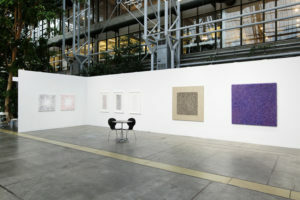 For Code, she presented a solo booth of sculptural paintings by Danish artist Lars Christensen. By allowing a lot of space between his works, the booth felt like a proper solo exhibition and a well chosen one at that, with an international gallery presenting a homegrown artist in regal fashion. Finally, no trip to Copenhagen can be complete without a visit to the Design Museum Denmark, which is located in the center of town on Bregrade Street. Design Museum Denmark facade. Photo: Pernille Klemp. While the museum has a changing program of temporary special exhibitions, there are two illuminating permanent collection installations for the top of the must-see list. The first is The Danish Chair: an International Affair, an elegantly designed presentation of dozens of chairs from around the world. 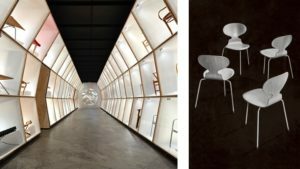 The installation focuses on the output of Danish designers from 1920-1970, considered to be the golden age of Danish furniture design. At the core of all Danish design is the belief that the objects of our everyday lives should be useful and beautiful and nowhere is this better expressed than in their mastery of chair design. Left: Installation of exhibition The Danish Chair: an International Affair. Photo: Pernille Klemp. Right: Arne Jacobsen, Ant Chair, 1952. 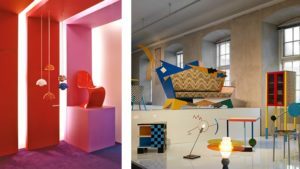 Below, highlights from the other not-to-miss permanent exhibition, The Twentieth Century, which focuses on all forms of Danish design. Even in this section not focused solely on chairs, there are still plenty of chairs. 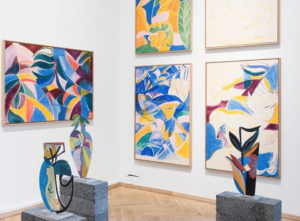 For additional information about the art scene in Copenhagen, check out Artsy’s broad overview at this link.